Rent a business jet from New York to Toronto with Private Jets Teterboro, the #1 jet charter broker in NYC. 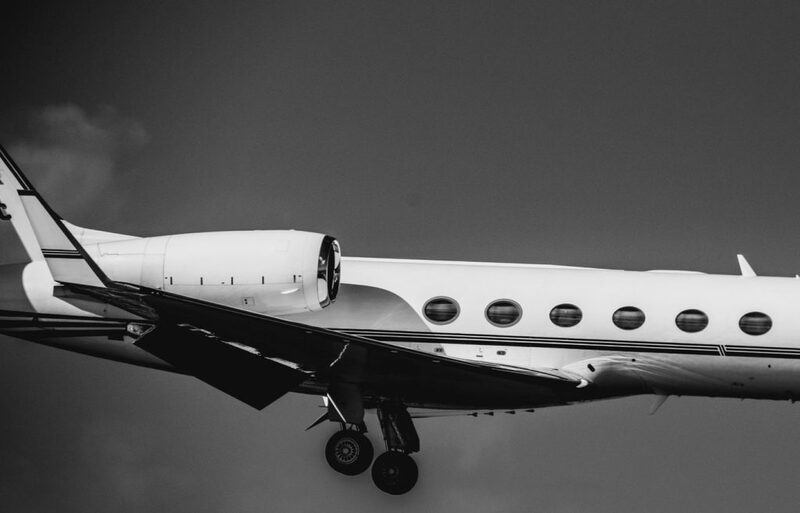 Our charter services offer instant access to private planes based at airports throughout New York City, allowing us locate the perfect charter plane for your flight to Toronto, Ontario. 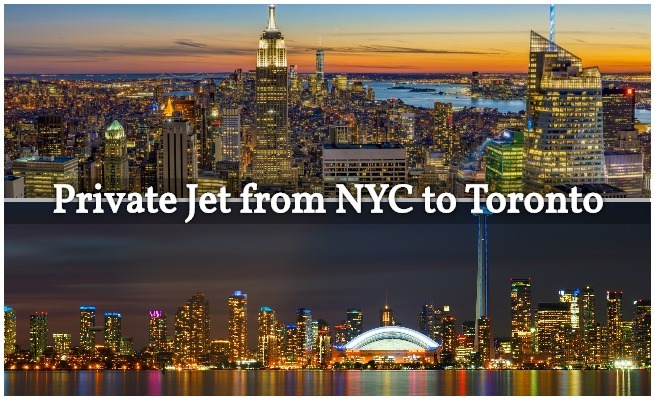 The route between NYC and Toronto is the busiest private jet route between the United States and Canada, with major corporations, insurance companies, and other major business markets closely connected between the two nation’s financial centerpieces. As result, executive groups and business travelers frequently make trips between offices and meetings. While the commercial flight time is typically around 1 hour and 30 minutes, that’s only after arriving 3 hours early to go through security, baggage checks, and not counting any potential delays, especially during the fall and winter months. This also doesn’t count the time it takes to get out of YYZ after you land. As result, the majority of private jet charters from NYC to Toronto are for executive travel, cutting travel time in half, limiting exposure of sensitive data, and allowing CEO’s and business groups to continue to work comfortably and privately during their flight. Many business jets can perform the flight in under an hour to further maximize your time, especially on same-day returns. Simply choose the date and time of your flight, arrive 15-20 minutes before departure instead of 2-3 hours early, walk through the airport’s private terminal, and board your plane—no more long lines, customs checks, pat downs or other fun TSA activities. Depending on your flight, our charter brokers may able to pre-clear your international flight with customs & immigration on both sides of the border for the smoothest experience possible. After you arrive at Toronto Pearson International (IATA: CYYZ; FAA: YYZ), we can have luxury ground transportation or a private helicopter transfer arranged to bring you to your hotel, meeting, conference center, and other destinations. For the latest pricing and availability on private plane charters, or for more information about your trip, send us an e-mail or call us at (888) 987-5387 and book a private jet from New York to Toronto. Enjoy around the clock air charter services at Teterboro Airport (TEB), and free jet charter quotes without the high-pressure sales pitch when requesting your Toronto jet charter flight. Just as each flight is different and unique, so too are the needs of our clients. Our consultative approach helps you to make the most informed decision when choosing to use our air charter services. In addition to 24 hour services at Teterboro Airport, we can arrange flights using other private jet airports in the NY metro area. Are you located to the north or east of Manhattan? Choose a closer, more convenient option including Westchester County Airport in White Plains, NY, and Republic Airport in Farmingdale, NY. There a total of 12 airports in the NY metro area, private aviation is mainly focused at Teterboro, Westchester County, and Republic. In addition to arranging air charter services from Teterboro to Pearson International, Toronto’s main aviation jet hub, we arrange jet charter flights to airports in Burlington, Buttonville, and on the Toronto Islands. Do you or your office frequently charter planes from NYC to a variety of domestic and international destinations? We offer 25, 50, and 100 hour jet cards to match your travel needs, and we can assist HNWI’s and corporate flight groups with aircraft sales and acquisitions, whether you’re upgrading, downgrading, subtracting, or adding planes. The cost of short hop charter flight like this will mainly be based on the amount of passengers you’re traveling with, which will likely dictate the aircraft type you’ll need to hire. The final charter price will not only be determined by aircraft type, as other factors including scheduling, fuel pricing, re-positioning, empty legs, and other factors can make it go either up or down, so to give you an idea of the cost, we’ve provided a range of example prices for jet charters from NYC to Toronto using White Plains and Teterboro*. Chartering a turboprop is one of the most flexible and affordable ways to fly private from Teterboro to Toronto. What are the benefits of chartering a turboprop aircraft? Turboprops are are often the most cost-effective aircraft for short charter flights, designed to fly at low altitudes and speeds of under 450 mph. When flown at the correct altitude and speed, they’re incredibly fuel efficient compared to light jets light jets, which results in lower hourly rates for your aircraft rental. Their slower approach speeds also allow them to access shorter runways and hard-to-reach airports. What are the downsides? Well, if you’re traveling in a large group or a lot of luggage/equipment, your aircraft choices may be limited, or you may need to move into the light or midsize jet category. Cabins are also smaller than jets, and some may not feature a lavatory, or even a potty seat. For these reasons, turboprops are best suited for same-day round-trip charters under 500 nautical miles each direction, including flights from New York City to Toronto. Light jets are ideal for executive flights from Teterboro to Toronto, offering outstanding speed and seating for up to 7 passengers. Depending on how many executives you’re flying with, how fast you want to get there, and whether or not you’re bringing golf clubs on-board, you can find the right entry level, light, or super light business jet for your mission. Popular light jets for flights from NY to YYZ include the Citation CJ4 / CJ4+, Hawker 400/400XP, Learjet 45XR, and the best selling business jet in the sky, the Phenom 300. Ideal for making short work out of short flights like this one, light business jets are one of the best time-saving was to travel between New York and Toronto. * Example pricing shown is based on previous flights and will vary based on aircraft type/model, scheduling, fuel prices, re-positioning, and other factors. Additional services like de-icing, in flight catering, additional flight time due to weather or ATC, Wi-Fi usage, and/or ground transportation are billed separately. Additional airports are available in Toronto, and may alter the price of your charter cost. At Private Jets Teterboro, we’re not limited to a single airport or one fleet, nor do we answer to aircraft owners or charter operators. Our systems allow us to see every plane available from Manhattan to the outskirts of the metro area, and we negotiate on your behalf to offer you the best deals in the market for executive air charter to Toronto, ON. Another important distinction between us and other brokers is our safety standards. Our brokers are one of less than 100 Wyvern-certified charter brokers around the world, and safety is the #1 priority for every flight. We review third-party safety audits to ensure planes and pilots meet our strict guidelines, and we use two veteran pilots for additional safety when flying private jet charter. Many of our clients are in the top 1%, and our company’s safety and service standards place us in the top 1% as well. Enjoy access to Cessna, Cirrus, King Air, Piper, and Pilatus turboprops for individuals and small groups; charter a Citation, Learjet, Hawker, or Phenom light jet for added speed; enjoy even more comfort inside a Challenger, Gulfstream, Falcon, or Legacy midsize jet; fly your executive team to Toronto in under an hour by hiring a GIV, GV, GIV, Global, or other high-capacity heavy and long range jets. Wyvern Wingman and ARGUS Platinum jets available by request, and large groups can charter a corporate or VIP airliner for business groups, sports teams, and special events, including Boeing, Airbus, and Bombardier airliners; although multiple business jets would more cost-effective, some groups prefer to travel together, and we can accommodate between 30-180 passengers. Returning home to Manhattan? We also offer instant access to planes in Toronto and throughout Ontario, including transient planes and empty leg flights returning to Teterboro and White Plains. Whether you need an ASAP charter, searching for empty leg flights, or looking for the best one-way/same-day round trip pricing, our knowledge and experience in the industry allows us to offer the most competitive charter prices without sacrificing safety or comfort. Call us at (888) 987-5387 for the latest pricing and availability for private flights from New York, NY to Toronto, ON. Book a private charter plane from NYC to Toronto by contacting us or giving our brokers a call at 1-888-987-5387 (JETS). Our private jet company offers bespoke air charter services while applying some of the highest levels of safety and service in executive aviation. 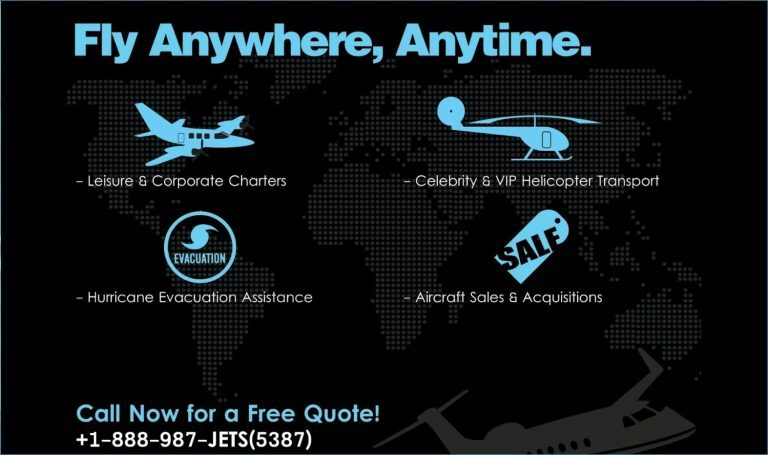 You’ll enjoy free quotes, the most competitive pricing in the industry, and om-demand access to thousands of private planes for your flight.